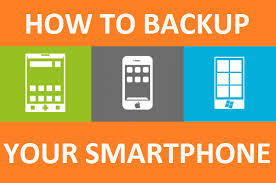 ItVoice | Online IT Magazine India » How Best To Back Up Your Android Smartphone? April 21, 2019 10:48 pm You are here:Home Computer HardwareHow Best To Back Up Your Android Smartphone? How Best To Back Up Your Android Smartphone? Well, given the variety of smartphones, there are obviously a variety of ways to back up your phone. But what we forget is that the most basic way is the most smartest way. So just pin your smartphone to your computer and back it up! While there are also some options via apps and web storage that you can save your Android phone’s data, with Google also helping you through. For a simple PC back up, all you have to do is connect the phone to the computer via USB data cable. Then, go to the main menu of your Android mobile phone, click on the USB connection, and select USB Mass Storage. Now a fresh removable disk will be visible on your computer. Click to open the disk, and copy all on your computer. And, we are now done with a basic back up. Other back up options include apps are available both from the Android maker and independent support. Most of them come for free. One can back up the data folder-by-folder, with such apps. However, to back up phone contents like your mail, contact lists, calendar entries and settings, Google can also do that for you. Go to phone Settings, then Privacy, and select Back up my settings and Automatic Restore. Now, revert to Account & Sync and click on Sync Contacts, Sync Gmail, and Sync Calendar, to save these. Photo gallery is commonly the most loaded folder in any smartphone, thanks to people who love to take selfies. For your gallery, you can use the Google Plus app. Just login to your account, and select Instant Upload in the Settings. Also, like above select Sync box in your Accounts and Sync settings. It is far easy to use the basic services like a computer back up or a use the your Google account. So now don’t lose your data any more.